If your pet has a wet nose and is in need of a warm heart, then you have found the ideal kennel service in Mt. Airy. The Country Kennel Inc. offers a caring and secure environment for your four legged family members. We pride ourselves in delivering top quality facilities manned by an experienced and dedicated staff that will give your pet all the love and attention it deserves. 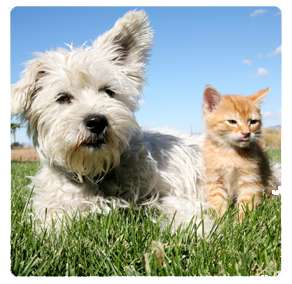 The Country Kennel Inc. knows that the pet owners cherish their dogs and cats and we are here to give you peace of mind alongside of our superior services. With a staff that has over 45 years experience, our team can answer all your questions about our services. You will find out why we are more than just a kennel. We also provide only the best grooming and doggie day care available in Mt. Airy. We are convinced that your pet will enjoy your time off or vacation more than you will. In fact, if you could talk to your pet, you wouldn't be able to get a word in, they wouldn't stop telling you to bring them to the animal lovers of The Country Kennel Inc.
We invite you to discover what countless satisfied pet owners already know. Please don't hesitate to give us a call or stop on by to check it out yourself. We have our staff waiting to speak to you or see you in person and we would be more than happy to respond to all of your inquiries. In the meantime, please see what we have to offer you and your pets by browsing the rest of our website. Looking for a kennel that will treat your pampered pooch with much TLC? The Country Kennel Inc. is your one stop shop for everything you need! Our separate cat boarding facility has heated and air conditioned condo's to keep your pet comfortable at all times. All condo's have an outdoor view while keeping your cat safe & happy.